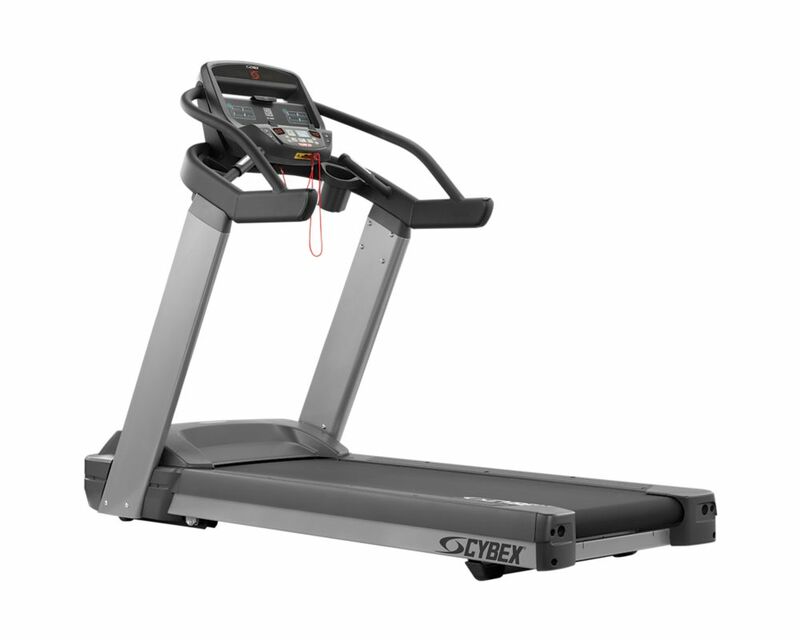 The Cybex 525T Treadmill combines advanced engineering and reliable performance you expect from Cybex in a treadmill designed for hotels, corporate gyms, and multi-family residential fitness centers. Built from premium U.S. steel to the highest manufacturing standards, it offers exceptional stability, durability, and value. Quick Start (Manual mode), four weight loss, four cardio, and heart rate control. Programs have 10 levels and control both incline and resistance. The Cybex 525 Series offers the industry leading commercial-level cardio equipment quality you would expect from Cybex, the durability and reliability you require, and a new easy-to-use, centralized, console designed to provide an intuitive, accessible layout for users in both managed and unsupervised fitness & gym environments. The 525T Treadmill is built with premium US steel and the highest manufacturing standards for maximum durability and reliability. 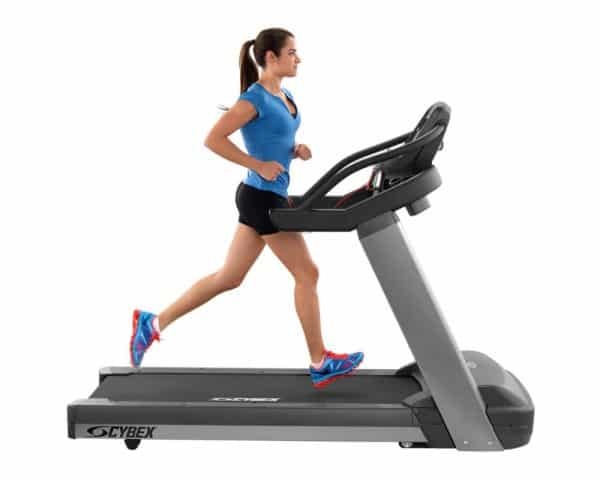 Safety and performance features features have been designed into the treadmill, such as a low step-up height, ARMZ stability bars for added security, the IS3 Intelligent Suspension System, a powerful 5 HP peak AC motor, and a large running surface. These allow users of all levels to experience a safe, smooth, and comfortable ride with minimal stress and impact. 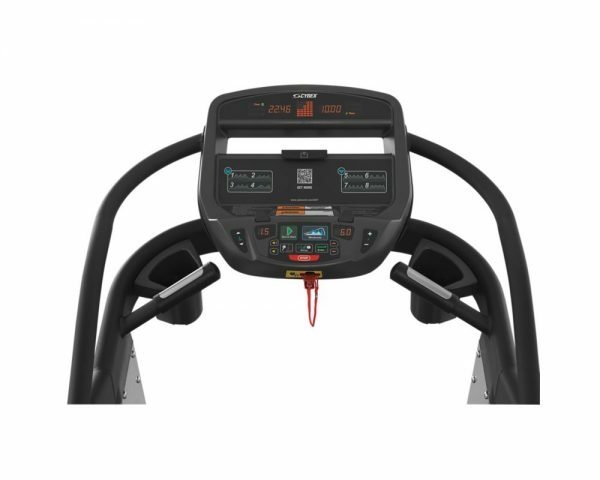 Cybex 525 cardio machines encourage users to access equipment information and cardio workouts from their cell phones and tablets, allowing them to get the most from the equipment. Guests, employees, and residents can select cardio workouts that best meet their fitness goals. The optional high-definition E3 View embedded HD widescreen monitor provides three distinct viewing modes that deliver the precise content that you want on a 15.6? screen. Take your 500 Cardio Series from Cybex to the next level with Cybex FIT, an innovative iPad app that interacts directly with your equipment, transforming the console into an advanced touchscreen workout display. Users now have access to a full suite of digital features and controls that lets them personalize their cardio workout experience. The 525 Series of premium cardio equipment from Cybex offers the industry leading Cybex commercial-level quality you’d expect, the durability and reliability you require and a new easy-to-use, centralized, console designed to provide an intuitive, accessible layout for users in managed and unsupervised environments. 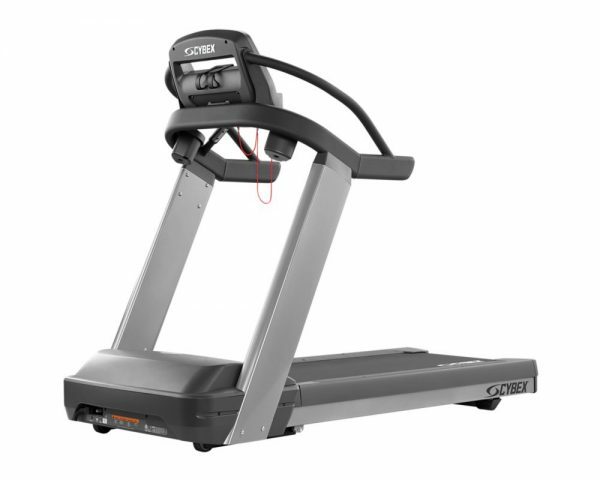 The 525T treadmill is built with premium materials such as US steel and the highest manufacturing standards for maximum durability and reliability. 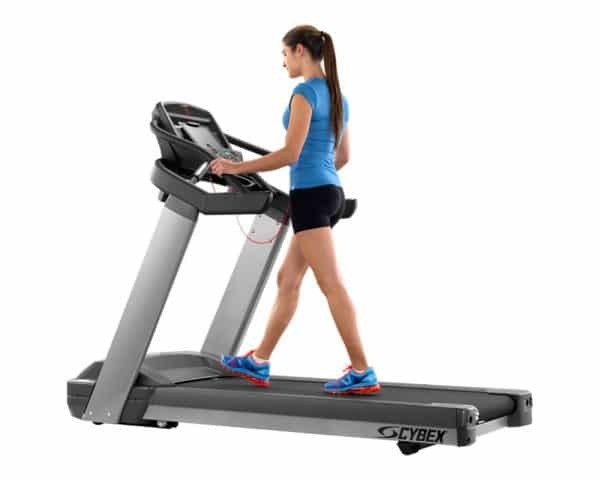 And with safety and performance features such as a low step-up height, ARMZTM stability bars, IS3 Intelligent Suspension System, powerful 5 HP peak AC motor, and a large running space, users of all levels will experience a safe, smooth, and comfortable treadmill run with minimal stress and impact.